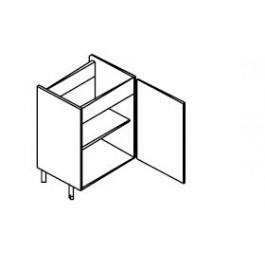 Hi-Line sink base unit, single door. Requires 1 door 715mm high, lowered back and vertical front rail to aid installation. Includes BLUM Clip on Hinges and adjustable feet.